Ovid’s Homer examines the Latin poet’s engagement with the Homeric poems throughout his career. Boyd offers detailed analysis of Ovid’s reading and reinterpretation of a range of Homeric episodes and characters from both epics, and demonstrates the pervasive presence of Homer in Ovid’s work. The resulting intertextuality, articulated as a poetics of paternity or a poetics of desire, is particularly marked in scenes that have a history of scholiastic interest or critical intervention; Ovid repeatedly asserts his mastery as Homeric reader and critic through his creative response to alternative readings, and in the process renews Homeric narrative for a sophisticated Roman readership. 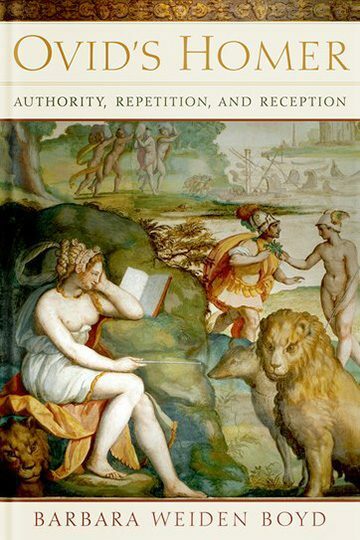 Boyd offers new insight into the dynamics of a literary tradition, illuminating a previously underappreciated aspect of Ovidian intertextuality.